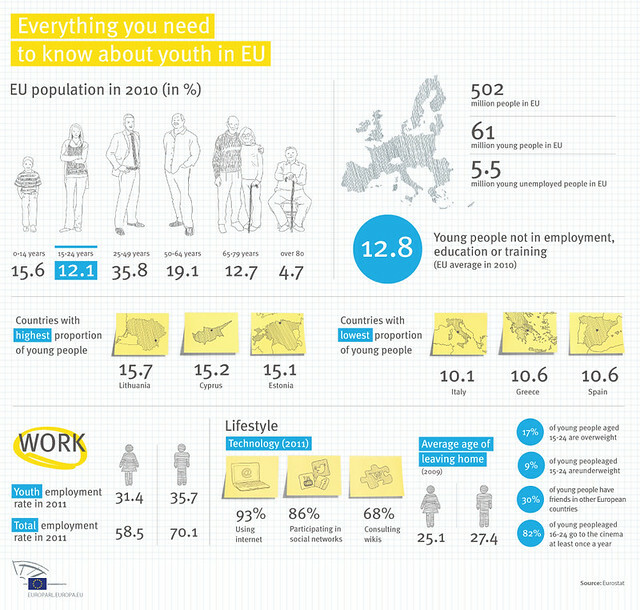 This infographic shows key information about youth in the European Union. It shows the employment rate, the EU population and how many young people are in the European Union. What is your opinion about the youth employment rate? Do you think that the European youth has enough opportunities?